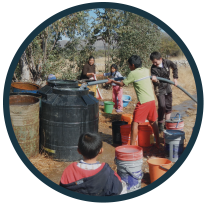 “Clean, readily available water can help the community of Puerto Pando in many ways. For instance, improving the child mortality rate, growing safe produce, and having safe drinking water. Puerto Pando is a community of 90 people located in the tropical forest region of the Department of La Paz. This forest is a part of the upper Amazon River basin. The community’s top priority is develop a clean, reliable sources of potable water. The community has many water sources, but they do not have the technical or financial capacity to build their own system. They currently draw water from an improvised system that they built themselves. EIA staff tested the water and found it was contaminated with disease causing microbes and parasites.The community would also like to partner with EIA on future projects including the development of a sanitation system which may include eco-latrines. 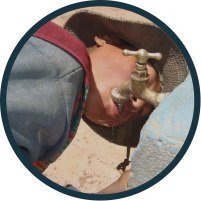 Our primary goals are to reduce child mortality rates and increase the health of everyone in Puerto Pando by developing a reliable source of clean water. The system will likely include a protected spring-box, a water storage tank near the source and a water pipe that will go from the tank to the community (approx. 1.5 km). The new system will include distribution lines with individual water taps at each home. This project was developed by EIA after requests were received from the community. After careful screening, EIA determined that this community is capable of sustaining this project upon completion. EIA will provide logistics for the team, purchase materials, provide communications between the team and the community, make site visits to check on progress of construction, work with the community on sustainability plans, perform baseline studies for project impact indicators, make follow up visits upon completion of the project, and be available in the future for consultation.